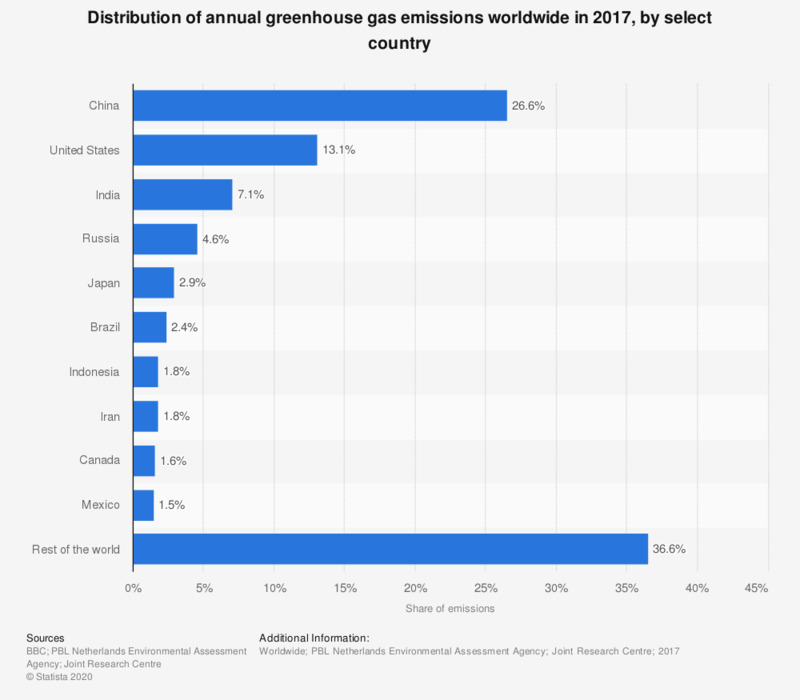 This statistic displays the distribution of annual greenhouse gas emissions worldwide in 2017, based on select countries. During this year, some seven percent of the global emissions originated from India. Carbon dioxide can be removed from the atmosphere through reforestation, soil improvements, and other carbon sinks.